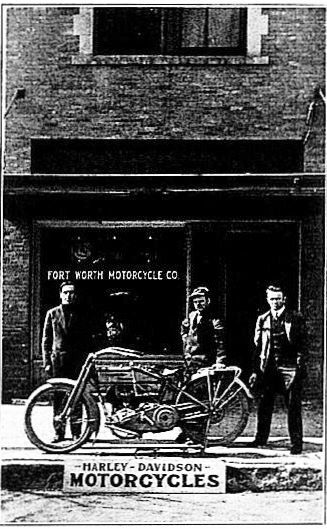 Fort Worth Harley-Davidson® began downtown in a small store on Monroe Street in 1915 (Fort Worth Star-Telegram, August 1915). After many years of continued growth and success, it is now located on West Loop 820 South in a 40,000 sq. foot facility. In 2006, Mark and Jennifer Smith purchased the store and set new goals for growth in the years ahead. Mark has been an enthusiast since building his own 1992 Sportster from spare parts so he and his future wife could go on rides around Sundance Square. His passion for motorcycles has fueled a lifelong commitment of excellence to the Harley® experience. Fort Worth Harley® is General Managed by Jeremy Osborn and is one of the oldest dealerships in the state of Texas and strives to continue its legacy as one of the highest rated dealership worldwide. Fort Worth Harley-Davidson® has been awarded a Platinum Bar & Shield Award by Harley-Davidson® for 2012 and 2011! This is the highest award a dealership can receive from the motor company! We are the only Texas store to win the award twice and back-to-back no less! Only the Top 6 dealerships out of nearly 700 in the USA receive this award yearly. In 2012 the factory ranked us #1 overall of all USA stores! Thank you to our customers for consistently making Fort Worth Harley® one of the top dealerships in the country! Fort Worth Harley-Davidson® has also been awarded Gold Bar & Shield Awards in 2008 and 2010. At the time, only the top 25 Harley-Davidson® dealerships in the United States received this most prestigious award yearly. In fact, in 2008 Fort Worth Harley® finished 3rd overall of all stores which would have resulted in a Platinum Award if the award existed yet. Fort Worth Harley® is the only 4 Time - Top 25 Award winner in the DFW area ever! Fort Worth Harley-Davidson® is accredited by the Better Business Bureau and has received an A+ rating every year since 2007. Fort Worth Harley-Davidson® is conveniently located near the areas of Fort Worth, Dallas, Arlington, Weatherford, Abilene, San Angelo, Denton, Waco, and Austin.